What is a DNA Sibling Test? A sibling relationship test is a test also known as brother and sister DNA test is performed between two or more siblings. This test is often used when a biological father is unavailable to perform a paternity test. Full Sibling DNA Test – A full sibling DNA test is a DNA test between siblings that share both parents. This type of DNA test is often used to submit evidence to immigration (USCIS, U.S. Embassy) or, This option can be used for adoptees. Half sibling DNA Test – A half sibling DNA test is a test between to sibling who shares one common parent. Just like a full sibling DNA test. This type of DNA test is often used to submit evidence to immigration (USCIS, U.S. Embassy) or, This option can be used for adoptees. 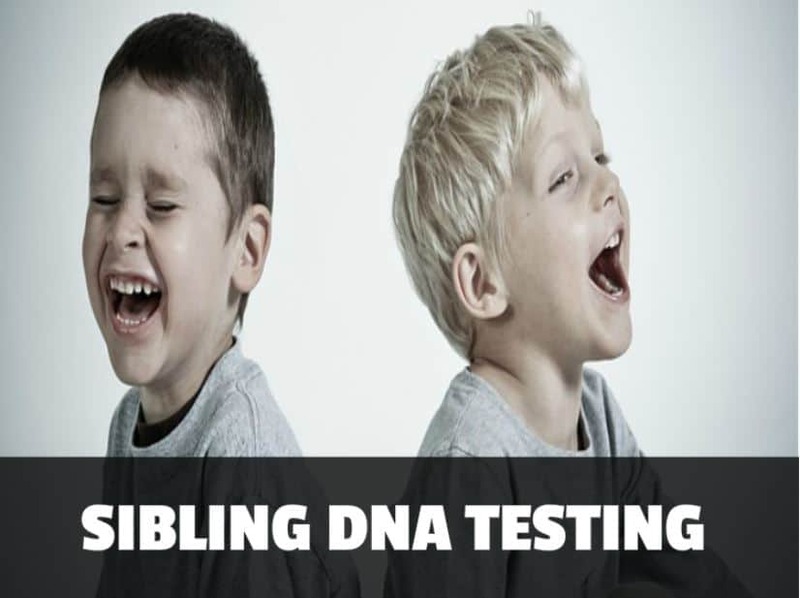 Full vs Unrelated Sibling test is a Sibling DNA test where two or persons share the same biological mother and father versus being completely unrelated. Full vs Half Sibling test is a sibling DNA test where two or persons share the same biological mother to determine the probability of sharing the same biological father. It always recommended the mother be included in the testing process if available. Half vs Unrelated Sibling test is a sibling DNA test where two or more persons who do not share the same biological mother but need to determine the probability of sharing the same biological father. 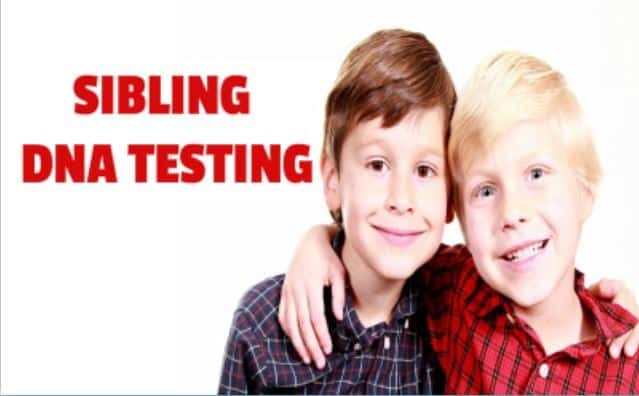 It is always recommended that at least one of the alleged siblings involved with test have their mother partake in the testing process for inaccuracy if available. It is important to note, there is no additional cost for 1 mother to partake in a sibling DNA test. If you would like to learn more about siblingship DNA testing process or would like to coordinate an appointment. Please contact IDTO today at 877-680-5800 or 347-735-5490 to get started. How much does a sibling DNA test cost? The cost of this test will vary depending on your situation. Whether you are going to collect your samples yourself or If you require your DNA samples to be collected by a DNA sample collector. The cost of a sibling test starts at $299.99 for a home sibling DNA test kit and up. Please contact our office to learn more about pricing and appointments today at 877-680-5800 or 347-735-5490. When will I receive my Sibling DNA testing result? The turnaround time for results is 2 to 3 business days from the date in which lab receives all DNA samples. Please note, Same day results are also available for an additional cost. Contact our office to learn more about appointments today at 877-680-5800 or 347-735-5490. Fast, Accurate & Affordable DNA results in 2-3 business days. 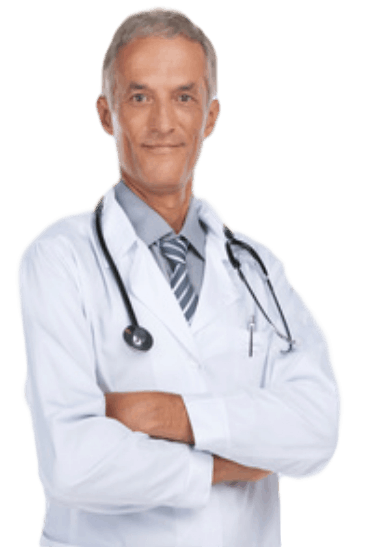 Professional DNA Sample Collection Technicians with over 10 plus years experience. Can I perform legal sibling DNA Test? Yes! Sibling testing for purposes is possible. All you have to do is contact our office today at 877-680-5800 or 347-735-5490 and allow one of our DNA relationship testing consultants the opportunity to assist with getting started. How accurate is a sibling DNA test? There are some companies that profess they provide 100% accuracy based on testing a large number of genetic markers. For the record, there is no sibling test that is 100% accurate regardless of the number of markers you are being tested on. What a sibling DNA test may provide is a high probability that you are related to your alleged sibling if the result shows the siblings share a common parent. In the event, the result show there is an exclusion which means there is a probability there is no relationship. It is important to note, that there are times when you result may be inconclusive. Can a DNA test prove half-sibling? Yes. As stated earlier, a half sibling relationship test will determine whether the half sibling share a common parent. In most cases the common parent is an alleged father. There is no such type of test called a sibling paternity test. A full sibling or a half-sibling DNA tests can be used to help determine whether siblings share the same biological father. Can I perform a sibling DNA test using a hair sample? Yes. It is possible to use hair samples for a sibling test. What is important to note, When using hair samples it is required that the hair samples are pulled from the root. In other words, the hair follicles must have the white specs at the root of the hair follicle. Without the white specs on the hair follicles, it may be difficult to determine the probability of siblings sharing the same father. We hope the information provided in this post was helpful. If you are in need of a sibling DNA relationship testing service? Please contact IDTO today at 877-680-5800 or 347-735-5490 for an appointment today.